We could all stand to eat more vegetables. But what’s a junk food fanatic to do when pizza sounds a lot more appetizing than steamed broccoli? Fake it ‘til you make it with one of our favorite greens. Zucchini contains 95% water, making it one of the most hydrating veggies at the farmer’s market. And this crunchy green is a smart choice for your smile, too. It’s filled with calcium and vitamin C: minerals that strengthen enamel promote healthy gums. Preheat the oven to 425 degrees F. Line and lightly grease a baking sheet. Cut each zucchini in half lengthwise 4 times (to make eight long sticks from each squash). Then cut the sticks once crosswise, making 16 sticks from each squash, approximately 4 inches long and 1/2 inch thick. Prepare two shallow bowls – one with eggs and one with a mixture of grated Parmesan cheese, garlic powder, and black pepper. 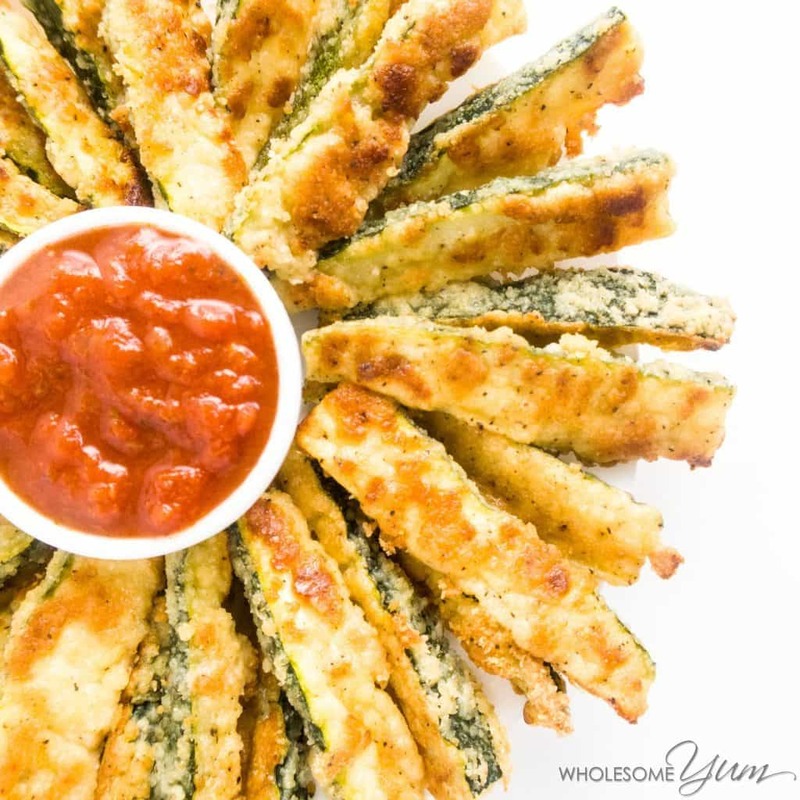 Dip each squash stick in the egg, shake off the excess, then press into the Parmesan mixture, coating all sides. (Use one hand for the egg and the other for the Parmesan, to avoid getting too much egg in the Parmesan which will make it clumpy.) Place on the prepared baking sheet in a single layer without touching. Bake for about 15-20 minutes, flipping the fries and rotating the pan halfway through, until golden and crispy. Hungry for more healthy helpings? Satisfy your smile with these recipes.